Two action heavyweights compete to speak the most intelligibly attempt to escape the ultimate high-security prison in Escape Plan, another 1990s-like relic action picture popping up in 2013. 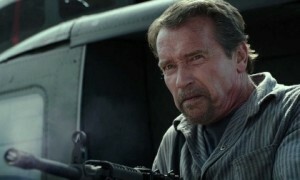 The film pairs Sylvester Stallone and Arnold Schwarzenegger as co-leads, and unfortunately, the teaming feels less exciting than it should, partly because the stars have shared a frame before in both cheeseball Expendables movies, and also because the prison thriller fails to drive outside of its outdated B-movie parameters. Somehow, though, the buddy-flick still passes as mindless nostalgic entertainment. If you think you’re getting an updated version of these two icons in a more modern movie, think again. Escape Plan is just about as silly as The Expendables entries or any of the action films the stars participated in during the 1980s. Stallone plays a prison-escape expert, Ray Breslin, who takes a job essentially off the books, under the radar, and behind the veil. He agrees to be planted in a secret prison facility that his regular outside team members (Curtis ’50 Cent’ Jackson and Amy Ryan) can not know about. Ray is abducted in a van, drugged, and awakens in a glass cell. Once introduced to the serpent warden Hobbes (Jim Caviezel), Ray realizes he literally can’t escape this prison, as someone set him up to ‘be buried here.’ Ray doesn’t know why, and only with the help of a new trusted inmate, Rottmayer (Schwarzenegger), might Ray be able to find a way out for them both. The premise of the film, while silly and always rather nonsensical, deserves better execution, as do Stallone and Schwarzenegger. Director Mikael Håfström adds very little flavor or interest to liven up what turns out to be an occasionally violent straightforward drama. The action comes in marginal doses and Håfström has no idea what do with these two men or how to film a scene in truly exciting fashion. The script also needed to smarter as it fails to fully delve into the idea of high-tech prison know-how. Stallone’s character attempts seemingly simple, logical methods of escape, but the film never allows the character to pull off an imaginative trick in order to advance his evasion. At the very least, the film should have been rewritten to better accommodate Schwarzenegger and Stallone’s personalities. Rarely even does the dialogue poke fun at the aging stars (outside of a few token cheesy one-liners), nor do the filmmakers ever take any of the scenes particularly seriously by ratcheting up the intensity levels. 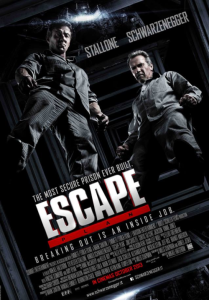 Instead, Sly and Arnold carry the entire movie on their backs, and the hope is that their mere presence is enough to make Escape Plan enjoyable. Luckily, Arnold and Sly are pros in this sort of game and they seem to be enjoying each other’s company even when the actual ‘escape plan’ and intelligence of Stallone’s character rarely give the film any depth or believability. The plan is never actually all that exciting in and of itself. 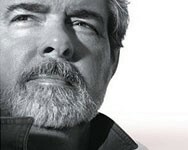 Instead the confrontations set up by the two lead characters keep us watching and holding out. 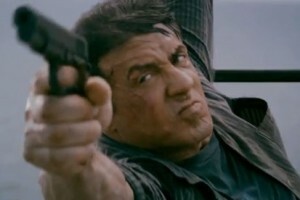 Stallone is far more watchable here than he has been in his recent efforts. Schwarzenegger adds a refreshing air to the movie as he hams up nearly every scene he can. The excitement builds quite a bit more toward the climax which gives us fans a taste of the blow-em-up action the stars typically warrant. It’s not enough to earn action-classic status, and Escape Plan certainly never lives up to its potential, but there’s just enough from Stallone and Schwarzenegger to enjoy it purely as a mild guilty pleasure that manages to escape callow direction and a lacking script. If you’re a fan of these two icons, then you should at least enjoy it. If not, there is admittedly little to love here. People often ask me which version is the best. The truth is, it’s really hard to pick one, because they are all so different, and each one is strangely apropriate to their time. 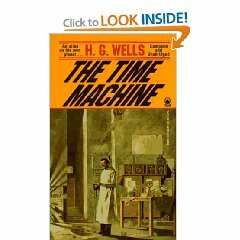 You might say, reading the book and then watching the movies is a trip through time in itself. I like the version from my century best. But of course, I would.